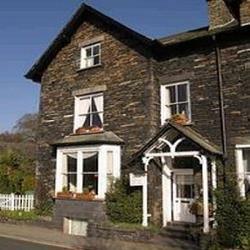 Lyndale Guest House Guest AccommodationLyndale Guesthouse is nestled midway between lake Windermere and Ambleside village with superb views of Loughrigg fell and the Langdales beyond. Lake Windermere is 5 minutes stroll away. Lyndale is spacious, comfortable and retains all the charms of a turn of the century guesthouse with modern facilities. 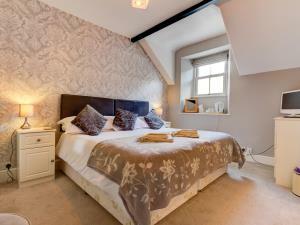 We have 6 comfortable bedrooms, our two single rooms each have their own private bathroom just down the hall. The other rooms are all en-suite and can be used as double en-suites, twin en-suites and a triple en-suite, a family 3 and family 4. No extra charge for dogs Children welcome from any age. Lyndale Guest House sometimes limits bookings to 2 or more days. Double/twin room. Double bed and 1 single bed as standard. Please specify on booking. M6 jct 36 take A591 to Ambleside. Located on A591 south of Ambleside village. Nearest train station is Windermere with bus route 555 stopping 100 yds from the front door. Lyndale is directly opposite Hayes Garden World. Great service with a smile as always. Great breakfast, cosy rooms and a very knowledgeable host when it comes to walking in the surounding area. Our sixth stay at Lyndale. Thankyou very much Alison, hope to stay with you again soon.